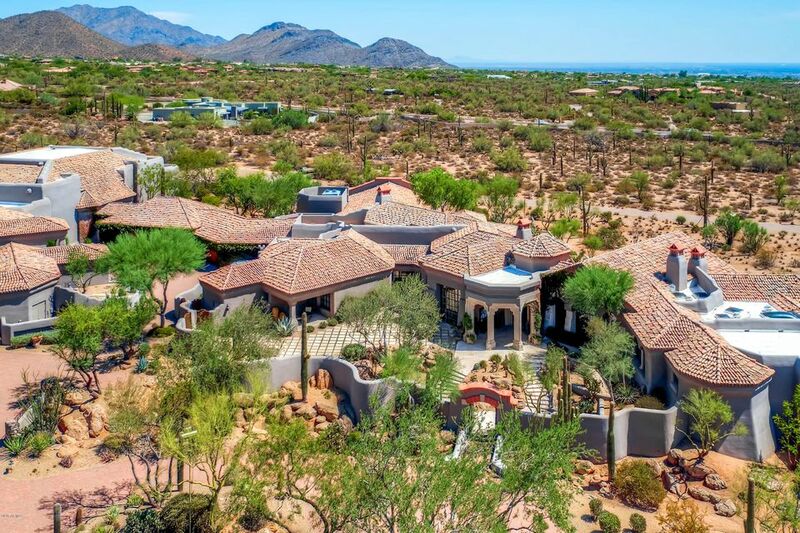 This world class desert estate invokes a sense of peace and serenity with a premium level of privacy, yet still offers easy access to the amenities of city life. Enjoy sweeping valley views of soaring mountains and city lights while nestled amongst approximately 6.9 acres of pristine Sonoran Desert at the base of Pinnacle Peak. The striking combination of glass, steel and Italian Marble work in harmony to create a unique ambiance of sophistication and tranquility. Car collectors will be astonished at the thirty-five plus auto show garage or this space could accommodate equestrian enthusiast. The balance between European design and nature is spectacular!Adjoining lots available for purchase providing for an approx. 20 acre estate!